To celebrate International Women’s Day 2017, we’ve compiled an inspiring short-list of the women who are influencing the next generation of fearless women, all over the world. Whilst we’d have loved to mention every single woman we look upto, it would have made this list incredibly long. We’ve narrowed it down to the women we think have made a significant impact to society over the last 12 months, to mark International Women’s Day 2017. A woman that just can’t be stopped! 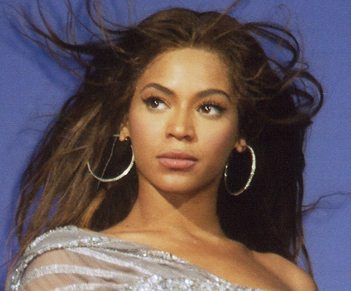 Beyonce has had a whirlwind of a career, from being one third of girl group Destiny’s Child to going it alone to become one of the best-selling music artists of all time. This musical powerhouse has sold over 160 million records which is no easy feat. Billboard Magazine named her the ‘Top Radio Song Artist of the Decade’ and ‘Top Female Artist of the 2000s (Decade)’. Listed among the Time’s 100 most influential women in the world. Listed in Forbes as the most powerful woman in entertainment, in 2015. Her music is perfect for almost every occasion; karaoke, driving, single girls nights, breakups, romantic evenings – Beyonce really does have it all! She incredibly real. Her song ‘Heaven’ was written about her miscarriage which was written in a way which offered support to other women out there during going through a similar experience. She’s got a body to be envious of – we wish we could pull off some of her outfits. The pictures of her and her daughter Blue Ivy are adorable – what’s not to love? This lovely lady landed on the cover of Sports Illustrated in 2016, breathing a breath of fresh air into the modelling industry. In her latest campaign for 2017 ‘Swimsuits for All’, Ashley celebrates women of all ages and sizes. In her eyes, the only way to get a ‘beach ready body’ is to ‘have a body and put it on a beach’! No list of awesome women would be complete without British songstress, Adele. She’s a powerhouse of a performer, with a voice and personality to match. She just exudes fun and has a great ‘down to earth’ attitude which resonates with her fans. Her lyrics are poetry for the soul. Her album 21 has been both our break-up and make-up soundtrack, making us stronger and more empowered in the process! Her trophy cabinet must be groaning as she’s won 8 Brit Awards, an Academy Award, a Golden Globe, 15 Grammys, 18 Billboard Music Awards, 5 American Music Awards and 2 Ivor Novello Awards for songwriter of the year! Phew! Proven both to us, and young women everywhere that you don’t need the body of a supermodel to be successful. This is a really positive message to be putting out there, and echoes the sentiment of International Women’s Day! A fairy-tale story of a the ‘girl-next-door’ meeting her prince and becoming a princess. That’s not all there is to love and respect about this great lady. Whilst most of her ‘Duchess Duties’ happen behind the scenes, we’ve collected some of the great things she does below. Domesticated, she may be a princess with everything at her disposal – yet she still does her own food shopping and cooking. This girl is simply amazing, a Nobel Peace prize winning teenager Malala is one woman who is truly inspiring. Malala campaigns for the education rights for all women, despite their background. What list of great women would be complete without the person who helped up escape into a magical world and fall in love with wanting to go to wizarding school.